Rafael ViÃ±oly Beceiro (born 1944) is an Uruguayan architect. ViÃ±oly was born in Montevideo, Uruguay to RomÃ¡n ViÃ±oly Barreto (a film and theater director) and Maria Beceiro (a mathematics teacher). He grew up and was educated in Argentina. He attended the University of Buenos Aires, receiving a Diploma in Architecture in 1968 and a Master of Architecture from the School of Architecture and Urbanism in 1969. In 1964, he formed the "Manteola-Petchersky-Sanchez Gomez-Santos-Solsona-ViÃ±oly" Estudio de Arquitectura (architectural firm) with six associates. This practice would eventually become one of the largest architectural practices in South America, completing many significant commissions in a very short time. 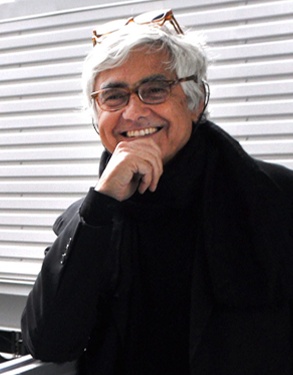 In 1978 ViÃ±oly and his family relocated to the United States. For a brief period he served as a guest lecturer at the Harvard Graduate School of Design, settling permanently in New York City in 1979. He founded the firm Rafael ViÃ±oly Architects PC in 1983. His first major project in New York was the John Jay College of Criminal Justice, which was completed in 1988. In 1989, he won an international competition to design the Tokyo International Forum. Completed in 1996, many people consider this building to be the most important cultural complex in Japan. His firm's design was one of the finalists in the World Trade Center design competition (see THINK Team). During the course of his forty-plus year career, ViÃ±oly has practiced in the United States, Latin America, Europe, Asia, Africa, and the Middle East. His firm has realized unprecedented growth over the past few years, expanding to include affiliate offices in London and Abu Dhabi. The firm has competed numerous and diverse projects including award-winning museums, performing arts centers, convention centers, athletic facilities, banks, courthouses, hotels, hospitals, laboratories, recreational venues, residential complexes, and commercial, industrial and educational facilities. With projects ranging in scale from laboratory casework to large urban commercial and institutional master plans, along with experience in the restoration and expansion of buildings of significant historical and architectural value. ViÃ±oly is a Fellow of the American Institute of Architects, an International Fellow of the Royal Institute of British Architects, and a member of the Japan Institute of Architects as well as the Sociedad Central de Arquitectos. Neutra Medal for Professional Excellence: In recognition for his contributions to the Environmental Design Profession and in honor of Modernist architect Richard Neutra, 2000.
âArchitecture is a dialogue with the forces of life. As a major form of social intervention, its essential responsibility is to elevate the public realm." In every project, I seek to maximize the opportunity for civic investment with a goal of forming iconic works that fulfill the needs of the client. For me, this makes architecture the most unique form of artistic endeavor. My design philosophy is rooted in the development of architectural ideas that are powerful, distinctive, and relevant to the specifics of both program and context. This assures that each project receives a unique interpretation rather than a premeditated solution based on a specific architectural vocabulary. I also focus on the integration of structural systems that complement the design idea, ensuring the synthesis of engineering with architectural form. Two of the skyscrapers designed by ViÃ±oly, the Vdara in Las Vegas and 20 Fenchurch Street in London, have experienced unusual sun reflectivity problems due to their concave curved glass exteriors acting as respectively cylindrical and spherical reflectors for sunlight. In 2010, the Las Vegas Review Journal reported that sunlight reflected off the Vdara's south-facing tower could make swimmers in the hotel pool uncomfortably warm, as well as melting plastic cups and shopping bags; employees of the hotel referred to the phenomenon as the "Vdara death ray". During an unusually warm 2013 summer in London, sunlight reflecting off 20 Fenchurch Street melted parts on a parked automobile as well as scorching the carpet of a nearby barber shop.